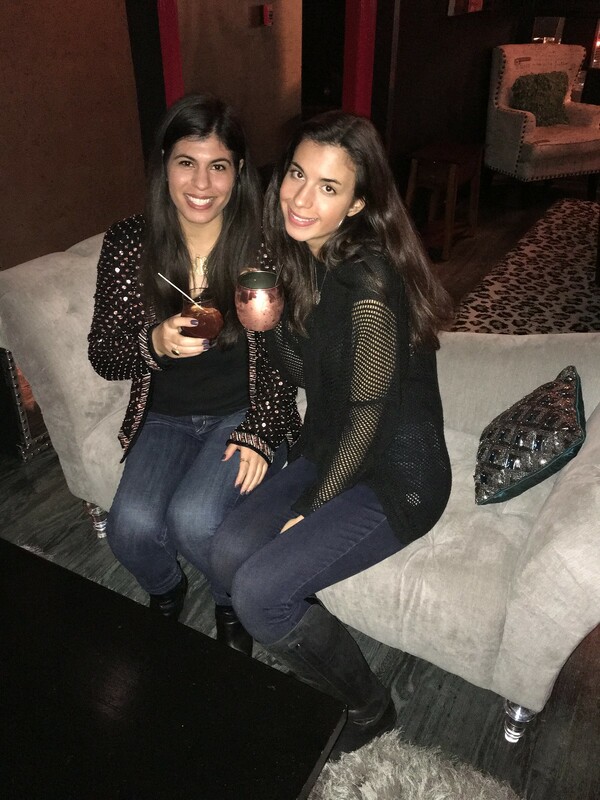 Last week I was invited to visit South Norwalk's newest cocktail lounge, Room 112. 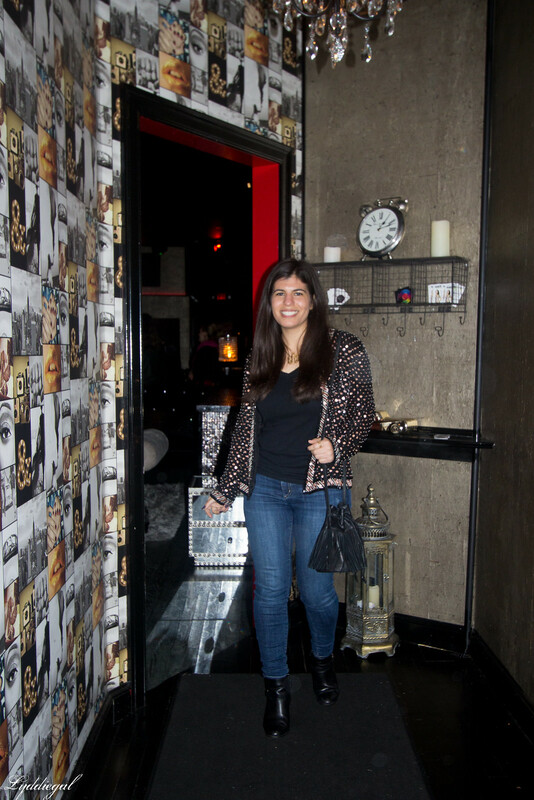 It's the kind of place that feels like it should be a secret; low moody lighting, a billiards table perched at top a leopard print rug and cozy velvet couches fill the entryway. I made my way to the bar and flipped through the heavy bound cocktail menu. 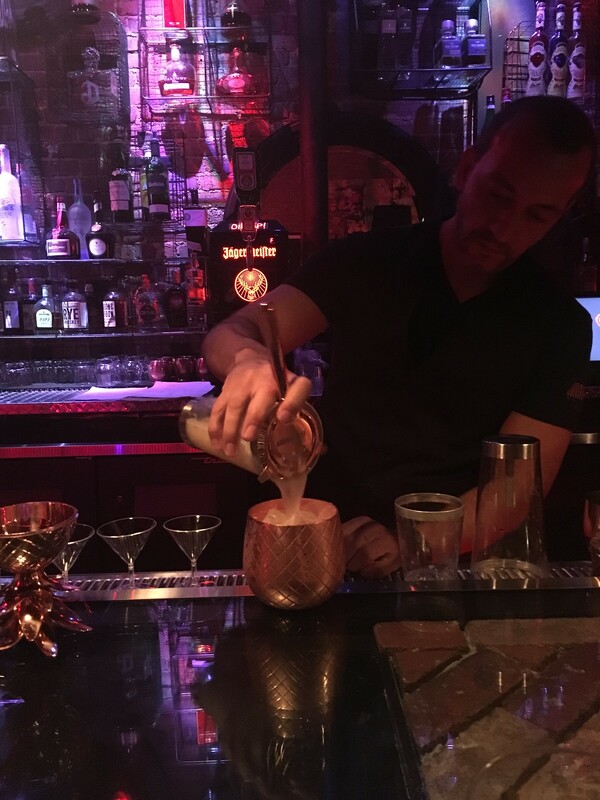 The drink descriptions are full of unique spirits and are meticulously crafted. Even special attention is given to each artful garnish, like brandy soaked cherries found in the Old Tom Fashioned, lemon peel which is ignited to release its oils into the Sono Sour, and Campari foam, a combination of campari, sugar and egg whites which gets piped atop the Pinacita (also served in the copper pineapple). 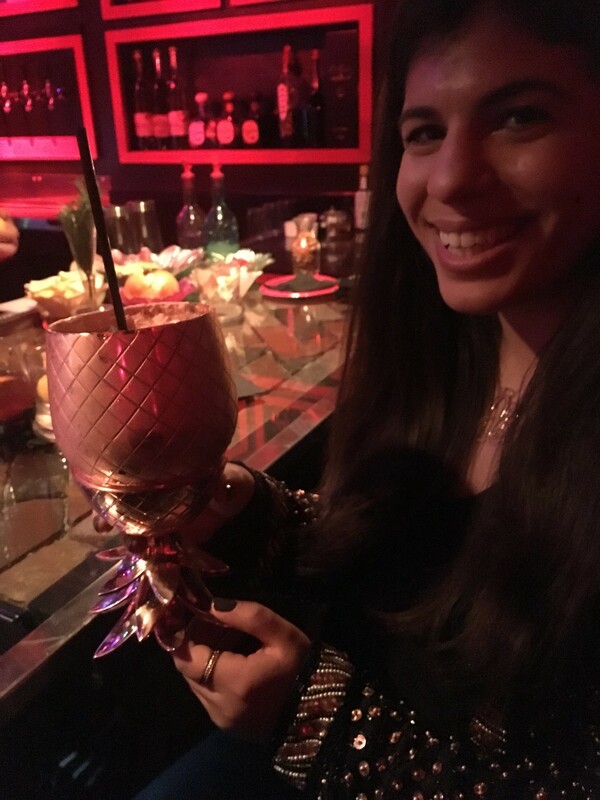 Naturally I was most excited to try the Pinacita, because of the copper pineapple tumbler, which is fabulous to drink out of. Though I think the Sono Sour with it's spiced moonshine and blueberry port was my favorite of evening. 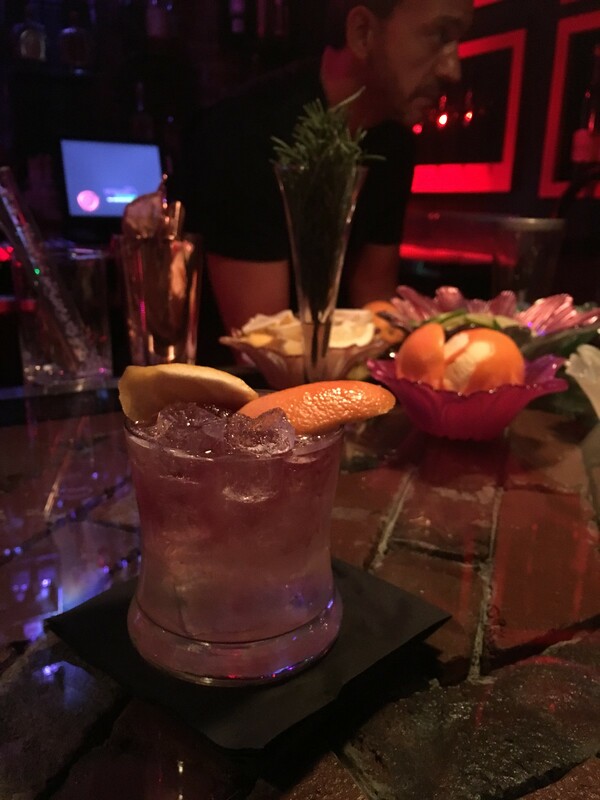 The spices and citrus elements complimented each other perfectly, the blueberry port is added via eyedropper to create a delightful ombre effect in the glass, and the performance of the flambeed lemon peel is enough of a reason to order the drink on it's own. The space is large and even feels bigger with the high ceilings, but other than bar stools the rest of the seating is couches. 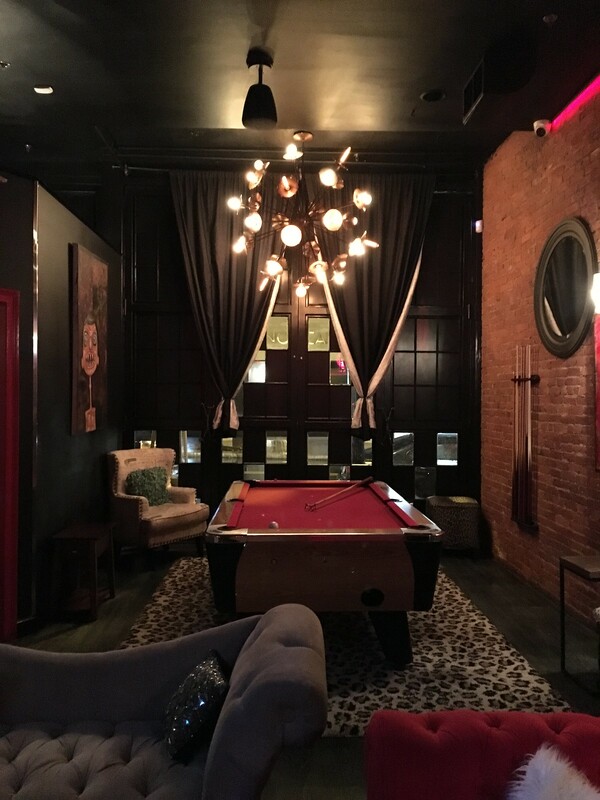 Down a flight of stairs there is a game room with billiards, darts, shuffle board, a jukebox, a second bar, and more couches. 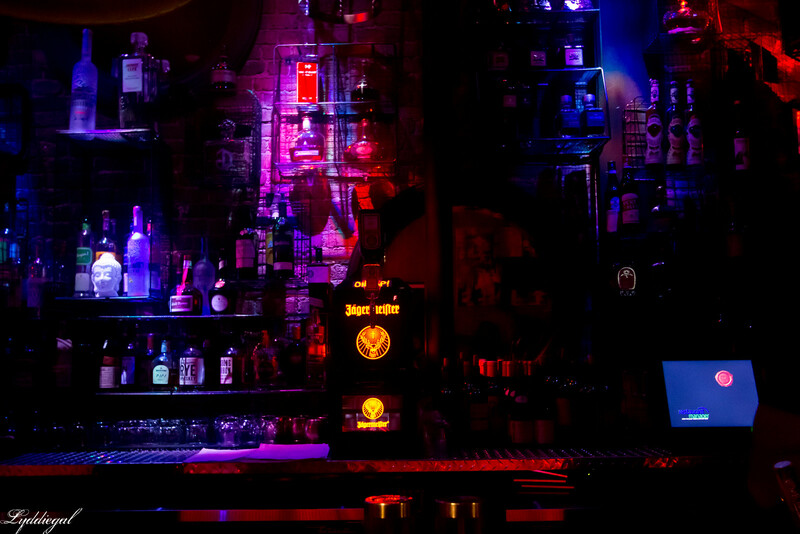 The idea of a lounge is taken very seriously, the drinks all take a significant amount of time to craft, and as such, should be savored. Room 112 invites you to come in and stay for a while. I was invited to Room 112 for the purpose of this review. My views and opinions are my own. Oh wow this space is amazing! I'd love to host an event at that lounge if I lived close to it. The cocktails sound amazing. I'm not much of a cocktail girl but when it comes to drinks served in copper pineapples, I'm willing to try anything, ha ha - I had a copper pineapple cocktail in NYC in September and it was pretty much the best thing ever, so I imagine yours was similar ;) I'm also not much of a bar person but I admit that this space looks wonderfully inviting and all of the cocktails sound pretty tempting! Ooh it looks so cozy! Wish I could have made it! I love trying new cocktails, but I'm not great at making them. So when we go out, I always try to get one!! Love your jacket---it's gorgeous, Lydia! 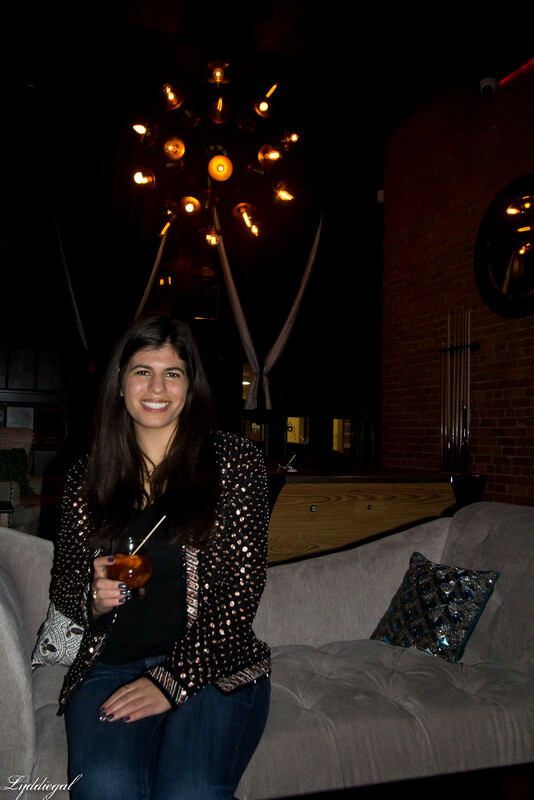 This lounge looks sleek and cozy at the same time, and those drinks sound amazing!! How cute is this lounge?! 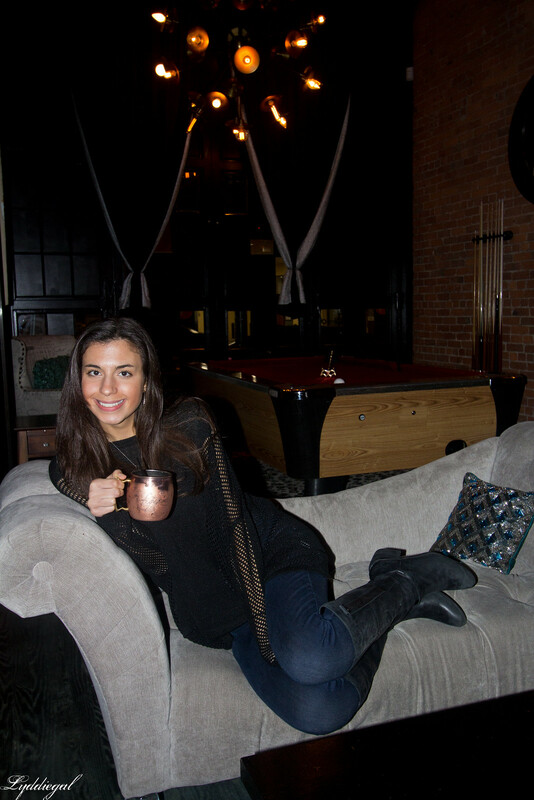 I love the decor and those drinks look so yummy! 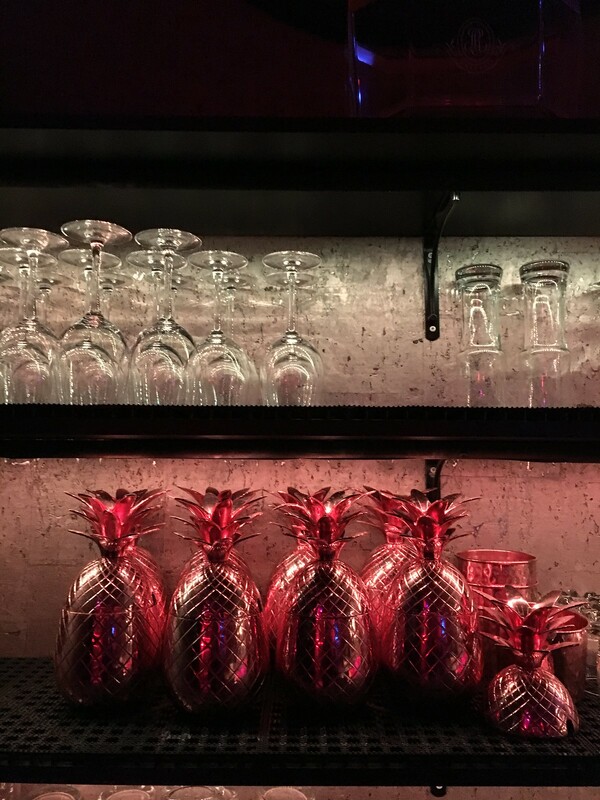 More places need to have pineapple tumblers lol!